Equestrianism is also taken seriously in France. It was in Paris (Paris Arrondissements Property Guide), in 1900, that the first equestrian events were part of the Olympic Games! The World Equestrian Games were held in Normandy (Lower-Normandy Property Guide, Upper-Normandy Property Guide) in 2014, raising France's equestrian profile even further. So if you keep horses, whether for business or pleasure, France is the ideal place to live. It's a vast country, with acres and acres of unspoilt countryside, ideal for horses and riding. Location is always important, and even more so when horses are involved. 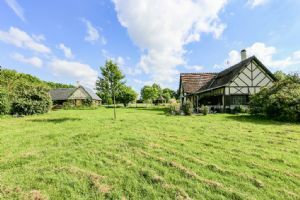 Many good equestrian properties are found in the north of France, in Normandy, Picardy (Picardy Property Guide) and Brittany (Brittany Property Guide). 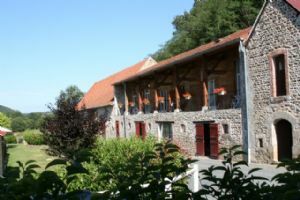 Poitou-Charentes (Poitou-Charentes Property Guide), the Loire Valley (Central Loire Valley Property Guide, Pays de la Loire Property Guide) and the Limousin (Limousin Property Guide) are also popular, with our selection of properties below covering most of these areas. But while some areas have more horse friendly properties than others, it is possible to find homes with land and stabling anywhere in the country. Indeed, many French properties come with land, unlike in crowded Britain. 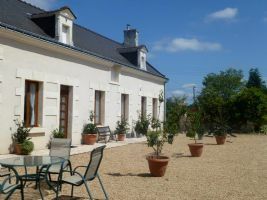 Northern and central areas are traditionally popular with horsemen, as they offer a moderate climate (Weather in France) and plentiful pasture land. While conditions in parts of France, notably the south, can be very different from those your horses have been used to in the UK. Some find it hard to adjust to the heat and flies of summer, so finding a property with stabling and shelter is important in the warmer regions. 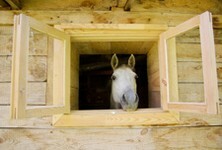 Equestrian property - what are the requirements? The best equestrian properties have good grazing land, stabling, outbuildings and access to off road riding. Properties with schooling facilities are also desirable, so look for one with a sand school. 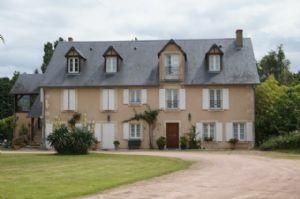 2018 - why buy equestrian property in France now? 2018 looks like being a year full of promise for property seekers in France. Property prices are often reduced as sellers become more realistic, so 2018 is the year to find a real bargain. 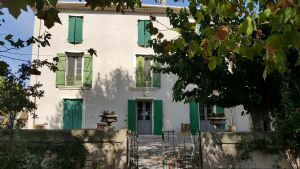 Charming equestrian farm in the South West of France, composed of a lovely dwelling house, 2 barns and stables with 9 horseboxes on a 20760 m2 piece of land. 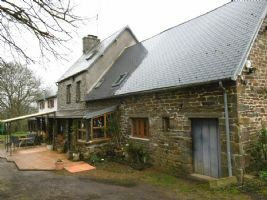 Great potential for a gite. 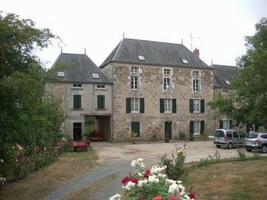 House and 13 hectares, ideal equestrian or smallholding. 1970s house offering 164m2 living space over 2 floors, comprising upstairs: entrance hall, 38m2 living room, fitted and equipped kitchen, office, 3 bedrooms, 8.5m2 wet room. In the basement, an appartment consisting of a living room, bedroom, shower room, wc and kitchen. Laundry/boiler room and 44m2 garage with double doors. Oil fired central heating, septic tank. Outbuildings: hangar, 2 barns, laying shed, milking shed, workshop. Property with over 9 acres of land. 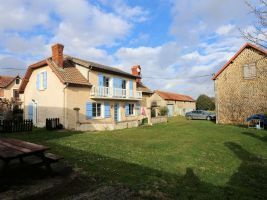 3 bedrooms, plus a cottage with 3 bedrooms, situated close to the National Equitation School in Saumur with numerous outbuildings. 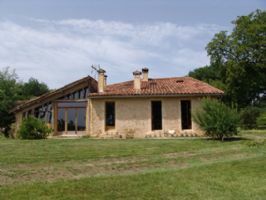 Equestrian domain on 23570 m² of attached flat land (plus 17200 m² of non attached garrigues land), with maison de Maitre with 300 m² of living space, divided into 2 apartements (one to refresh) and several stone outbuildings (stables, boxes etc..). Possibility to create 2/3 gites. 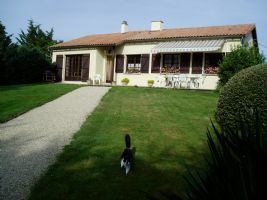 Newly created horse manege/yard, peaceful landscaped parc and pool.